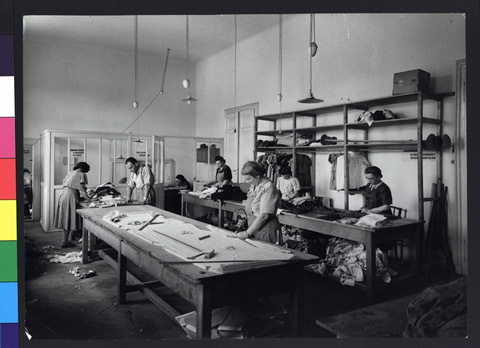 JDC - Archives : Women at work in a sewing workshop and cooperative funded by JDC. Title Women at work in a sewing workshop and cooperative funded by JDC. Description Women at work in one of the rooms at No. 2 Bethlen-ter, Budapest, the site of one of the fastest growing and most successful JDC producer's cooperatives in Hungary. 53 women members of the coop have become self sufficient since joining the workshop. The JDC supplies tools, funds and technical assistance.